However, allegations that labour and visa regulations were regularly flouted by the Guptas ‘could be true and should be probed’. The majority of Indian citizens who received permits to work at the now defunct ANN7 news channel while the Gupta family was in control of the company arrived in South Africa on intra-company visas, members of parliament (MPs) heard today. Jackson Mackay, home affairs deputy director-general for immigration, told a parliamentary inquiry into alleged special treatment given to the Guptas and their associates by the department that he was not aware of Indian labourers who entered the country on tourist visas, were forced to live in sub-human conditions and only paid in rupees when they returned home. “There were 31 of them [workers] that were on intra-company tranfer visas and nine of them we found that were on visitor’s visas for business meetings at the ANN7 premises when we did the raid on the premises,” Mackay told MPs. When asked about the allegations contained in an affidavit by Rajesh Sundaram, who published the book Indentured – Behind The Scenes At Gupta TV, and who claims that many of the staff who worked at ANN7 came to the country on tourist visas and that there were various instances where labour and visa regulations were flouted, Mackay claimed ignorance. “I am now aware of it. We did an inspection there and I’m giving you the facts. I’m not saying it could not have happened. It’s something that needs to be investigated,” said Mackay. Mackay denied any association with the Gupta brothers – Ajay, Rajesh or Atul. “I have never met them or spoken to any of the Gupta brothers,” he said. 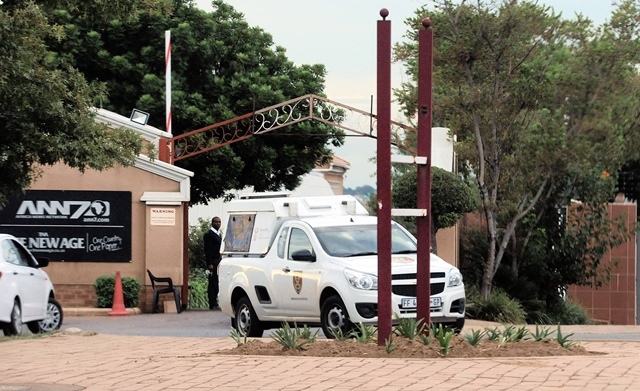 Mackay also denied being involved in the process which led to the early naturalisation of Rajesh and Atul Gupta, or that the minister ever approached him to discuss the matter. Documents before the inquiry show Atul Gupta obtained citizenship in 2002, while Rajesh Gupta became a South African citizen in 2006.